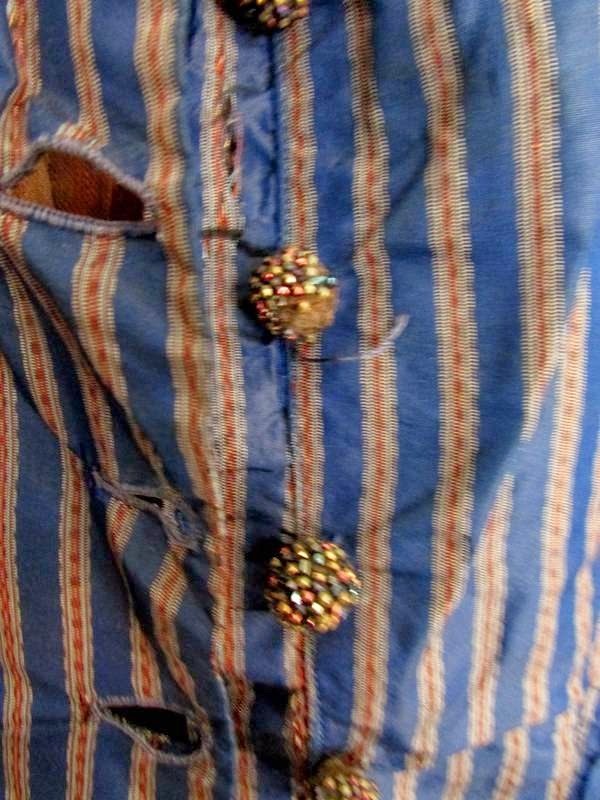 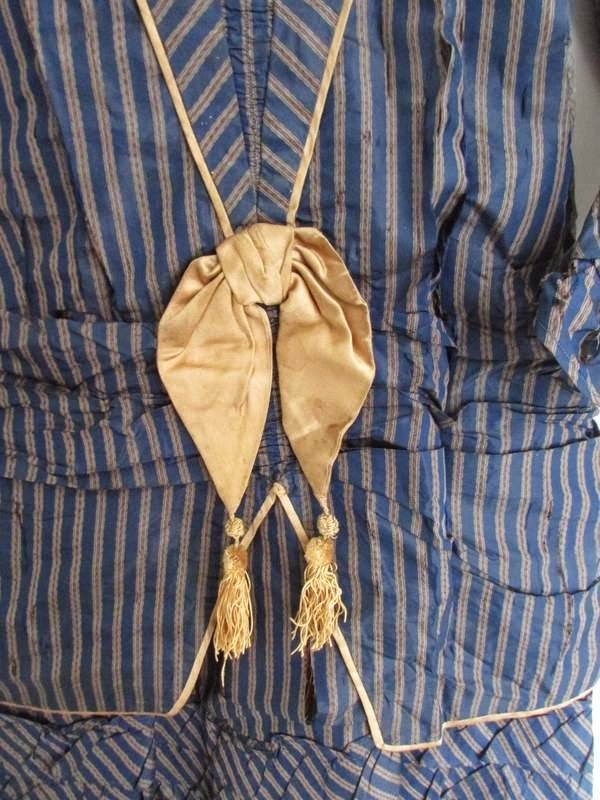 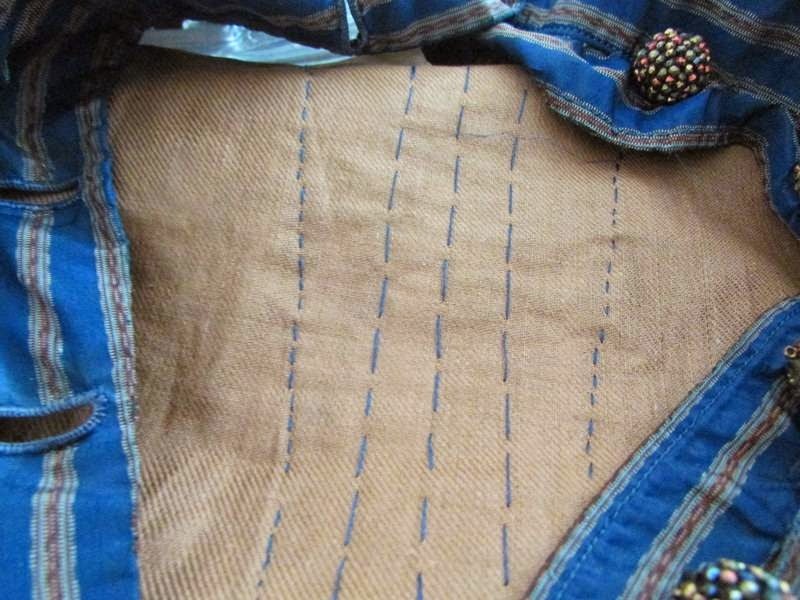 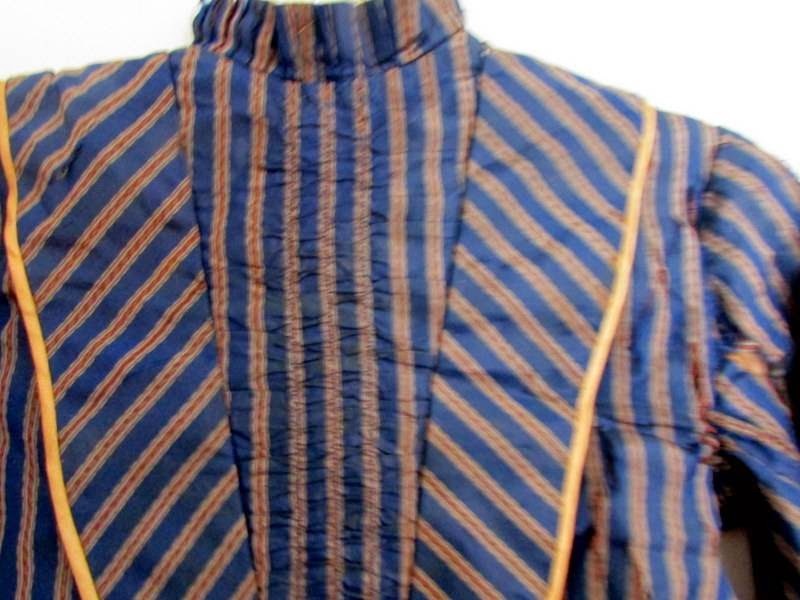 A very striking blue and gold striped tafetta child's (could have been worn by a boy or girl) 19th century Victorian dress needing TLC and restoration. 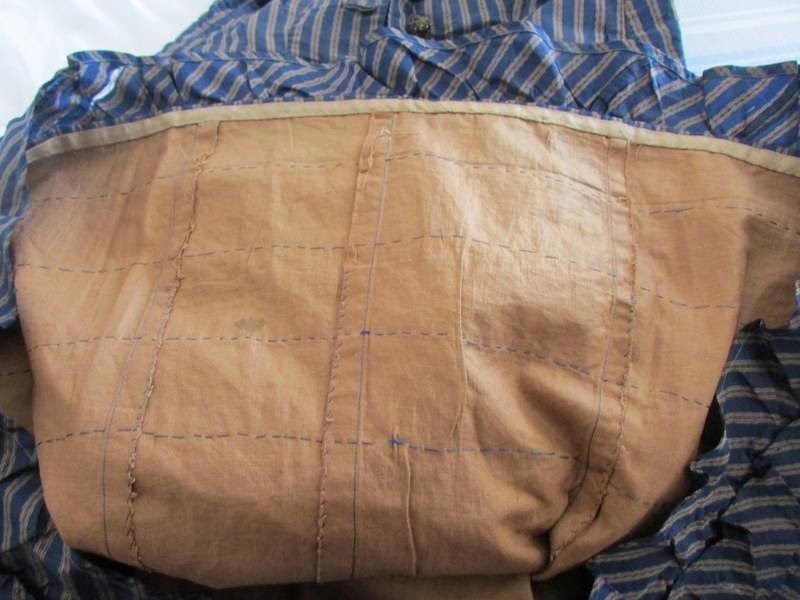 Hand sewn lining is intact. 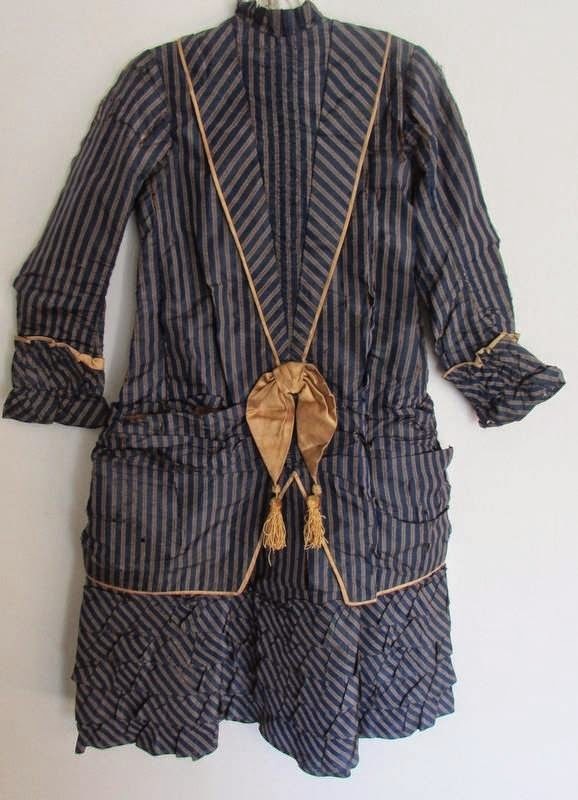 I am guessing that it would have fit an 8-10 year old. 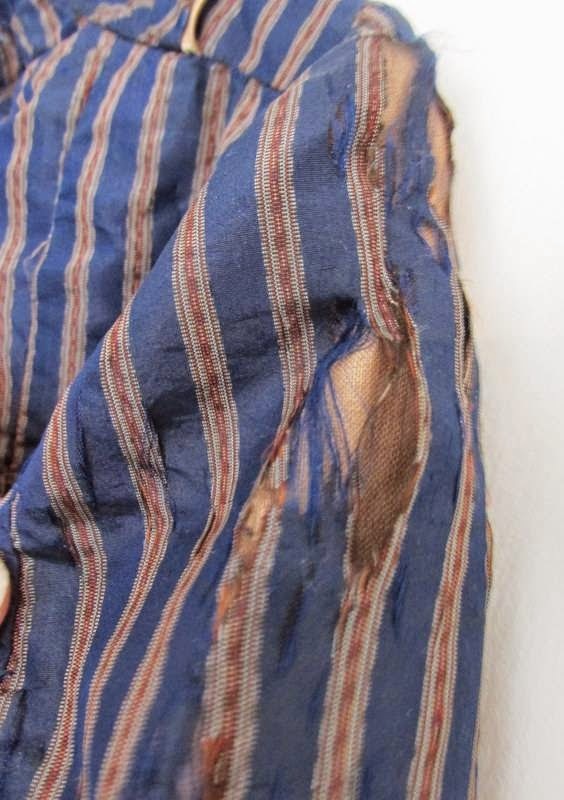 Full refund if not as described. 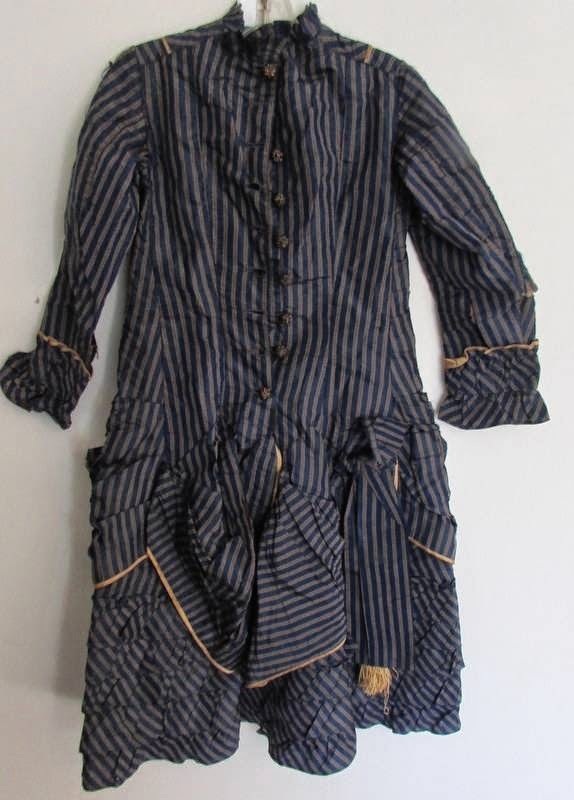 Given that the seller believes it could have been worn by an older child and, to me, it also looks like an older child's dress, I'm going to say this is for a girl.